You are sick of seeing those annoying Linkedin birthday notifications that read “Wish Andrew a Happy Birthday”. 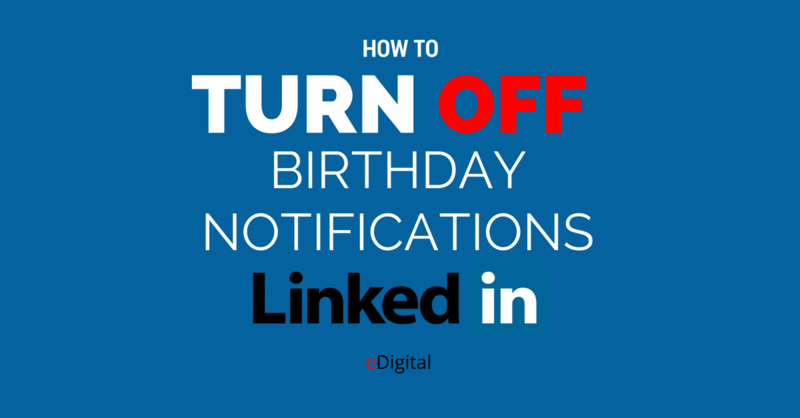 Learn how to turn off those Linkedin birthday notifications inviting you to congratulate Linkedin connections in six simple steps. 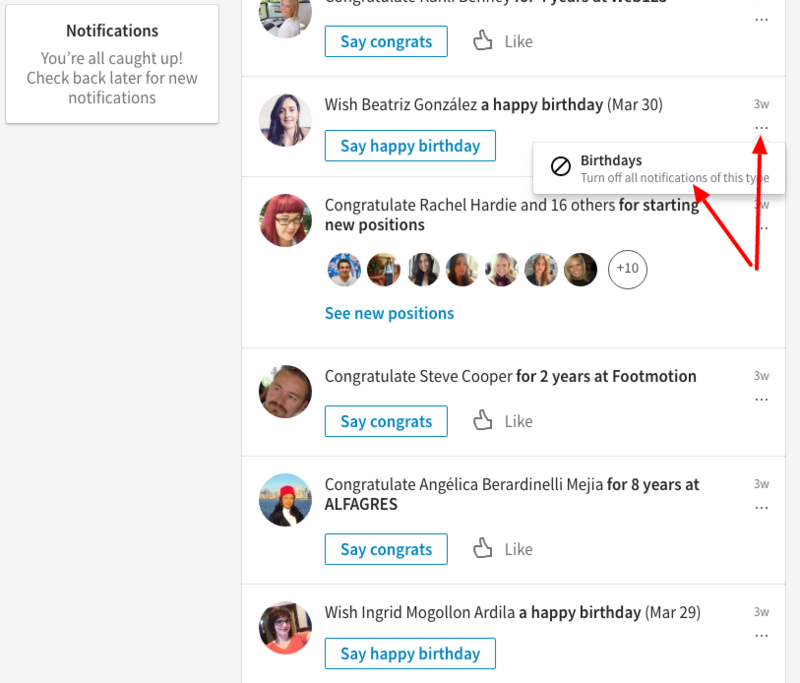 STEP 3: Scroll down until you find a “birthday” notification that is inviting you to congratulate a Linkedin connection. STEP 4: Click on the three horizontal dots on the top right of the notification. See screenshot below. 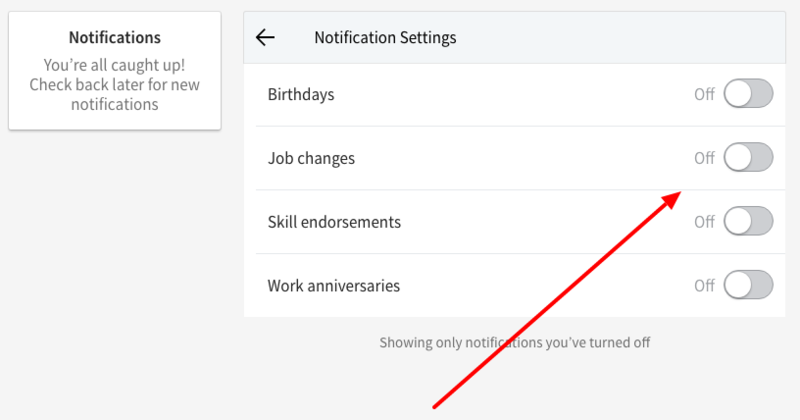 STEP 5: A pop up box should appear that reads “Birthdays – Turn off all notifications of this type“. Click on that pop up box. STEP 6: Done! All job changes notifications inviting you to congratulate are now removed from your notification feed. 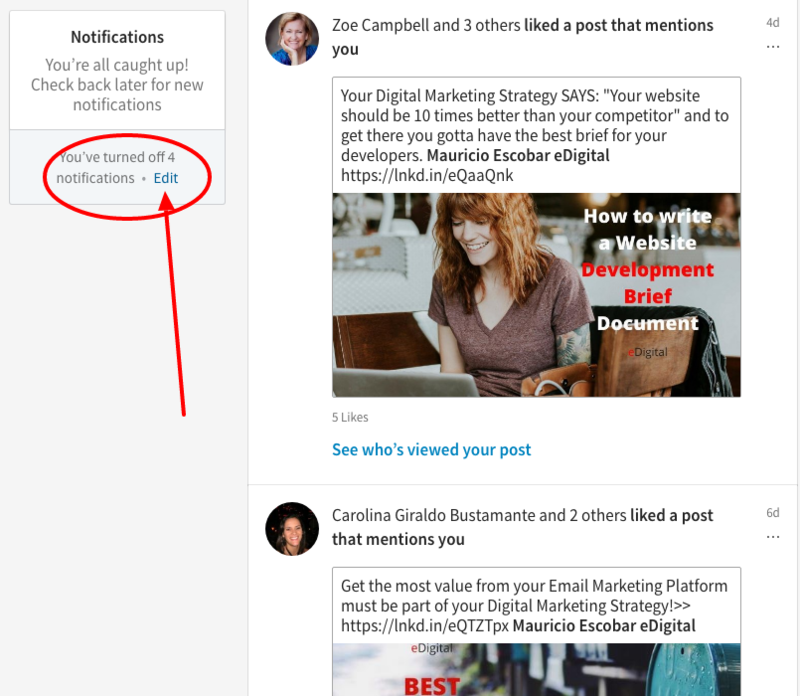 by clicking on the “edit” text link inside the Notification Box located on the top left of your notifications feed.